Forced to leave his wife and home to fight in the Trojan war, the Greek king Odysseus finds himself trapped in a conflict that will take ten years to win. Beset by the horrors of war and the hardships of the long voyage home, will he ever see his wife and son again? 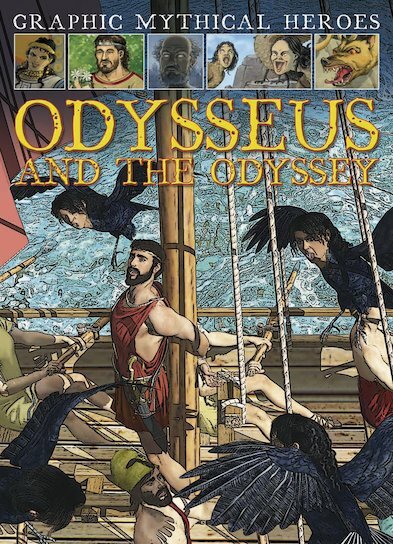 Using action-packed colour pictures bursting with life and energy, this graphic novel draws you deep into the terror and drama of an epic ancient story. Walk in Odysseus’s footsteps on every step of his epic journey, fighting the battles that will make him a legend.